The professional stylists at Urbanity Hair Studio bring your vision to life with beautiful custom hair cuts, designed to make you look and feel your best. Whether you need a trim or a whole new hair makeover, our cuts will give you more poise and confidence every time you look in the mirror. To enhance or completely change your natural hair color, our Colorists use both Wella and Schwarzkopf professonal hair color. These premium formulations guarantee true and lasting color and superb shine. Maintaining healthy, natural hair in this dry Colorado climate can be difficult, so we recommend relaxing your hair every 8-10 weeks. Our stylists use relaxers from such dry-climate specialists as Mizani, Elucence, and Affirm. Don’t trust this delicate process to just anybody – our experienced professionals will make sure that your hair comes out healthy and beautiful every time! Keratin smoothing treatments are all the rage among the Hollywood elite due to their ability to smooth and soften even the frizziest of hair types. All members of the Urbanity staff are certified to treat hair with Juvexin™, a proven treatment that works on even the most damaged and over-treated hair, restoring strength and suppleness while actually protecting it against damage from harsh sunlight and pollution and making hair stronger and healthier. Please call to get more information or to set up an appointment. Having a special or private occasion and want to look your best? Stylist(s) can come to you! Please contact us for availability and pricing. 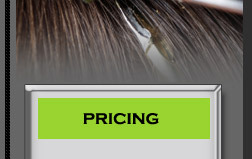 All salon pricing starts at the rates shown below. Thanks to all who voted to make Urbanity Hair Studio one of the Top Hair Salons in Denver in 2012!